This seems to combine all the disadvantages of an over wing mount with the disadvantages of a rear fuselage mount, and neither of those positions seem to have a huge amount of advantages. What are the advantages of a high, over/behind wing engine mounting position as seen in the HondaJet? Probably the reasons are similiar to the reasons which lead to the same mounting on the VFW-Fokker 614. This arrangement was used to avoid the structural weight penalties of rear mounted engines and the potential ingestion problems of engines mounted under the wings. This allowed a short and sturdy undercarriage, specially suited for operations from poorly prepared runways. The space in the cabin should be the actual reason in this case. “I had the idea around 1996,” says Fujino. 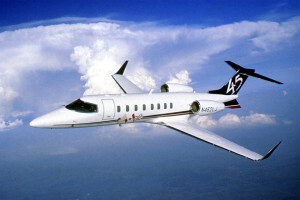 “The cost of a business jet is very high. To reduce the cost, you have to reduce the size of the aircraft, but then you sacrifice comfort. I wanted to make the aircraft smaller, but not sacrifice the cabin.” Most business jets have the engines mounted on the rear fuselage, and moving the structure and systems to support the engines out of the fuselage would maximise space inside the cabin without increasing the size of the aircraft, he believed. The problem with an overwing engine is that interference between the nacelle and wing can accelerate the airflow and cause a strong shockwave, reducing the drag rise Mach number – the airspeed at which shockwaves form and drag begins to rise rapidly. Fujino says computational analysis and windtunnel testing enabled Honda to find a “sweet spot”, an overwing engine location that minimises the shockwave. The result, he says, is a 5% better lift-to- drag ratio – aerodynamic efficiency – in the cruise than a rear-engined aircraft. I think HondaJet engine is a compromise of trying to squeeze two jets on a small aircraft. Putting engine under the wing means that the aircraft becomes too tall.A business jet can't be so high that it requires external ladders/stairs for entry - that would preclude landing at many small airports. If you look at Embraer Phenom or Cessna Citation, they both put engine on the tail. The doors on both open downwards and have built in stairs. You could think of putting the Jets close to the fuselage - similar to a turboprop - but then the problem is that unlike a propellor plane the exhaust is too hot. Then you can think of putting the engines on the tail (like every other competitor). That is a reasonable arrangement, but for stability reasons you want to have most of your weight ahead of the mid-point. That way if you are overloaded (or if your engine fails) the nose points down. With all the weight at the back, in case of emergencies the engine ends up pointing up. Not the safest arrangement. There is also the problem of getting all the fuel from the wing to the tail. So Honda found yet another arrangement by putting the engine on a couple of stilts. This is OK, but still has the problem that if an engine fails the nose ends up pointing up instead of down. I bet they are thinking that the Honda Engine never fails. One major advantage of the engine mount on the wing as opposed to the empanada One major advantage to the engine mount on the wing as opposed to the Tailcone of the aircraft was mentioned in an air and space article written by Bill sweet when called How The 747 Got Its Hump. In the article, he talks about mounting an engine on the wing of an aircraft indirectly reduces the bending moment on the spars and in the wingbox during flight due to the weight of the engines helping to counteract the bending moment generated by lift in the structural components. As such there's a weight saving since these parts can be made dinner but still be able to take the loads needed. Not the answer you're looking for? Browse other questions tagged aircraft-design engine-placement hondajet or ask your own question. What are the advantages and disadvantages of have the wing positioned further aft on an airplane? What general aviation single-engine piston pressurized airplanes are there? What are the advantages/disadvantages of placing an engine in the tail? What is advantages of a wing mounted engine in comparison to tail and fuselage mounted engine? What prevents aircraft with a tailcone APU from using tail-mounted airbrakes?